This threat – demanding that Christians and other minorities vote for the same Islamist leaders who persecute them, "or else" – has taken root in other countries as well. In what seems to be a pattern in many Muslim nations of finding new pretexts to justify anti-Christian -- and anti-"Other" -- behavior, Egypt's Christians and their churches are under attack, ostensibly because Christians joined the June 30 Revolution, which led to the ouster of the Muslim Brotherhood. Even before then, during the 2012 presidential elections, Christians were often threatened and sometimes attacked for not voting for the Muslim Brotherhood -- an absurd expectation considering that for decades it has been the Brotherhood and its many Islamist and jihadi offshoots that have terrorized Egypt's Christians. Even the popular Egyptian columnist Khaled Montasser, a Muslim, in an article published around the 2012 presidential elections, scoffed at the idea that Copts could ever vote for Morsi. Montasser documented, among other items, how the Brotherhood has in years past issued fatwas calling for the destruction of churches and a ban on burying "unclean" Christian "infidels" anywhere near Muslim graves. "After such fatwas," Montasser concluded, "Dr. Morsi and his Brotherhood colleagues can ask and wonder -- 'Why are the Copts afraid?'" When Ahmed Shafiq, Morsi's political opponent, did well in Egypt's first round of presidential elections -- many insist he actually even won the elections -- the Islamists blamed the Copts for voting for him and not for Morsi. Tarek al-Zomor, a prominent figure of al-Gama'a al-Islamiyya -- the "Islamic Group" which in 1997 slaughtered some 58 foreign tourists (mainly European, American and Japanese) during a massacre in Luxor -- even "demanded an apology from the Copts" for voting for Shafiq, adding that "this was a fatal error." This threat -- demanding that Christians and other minorities vote for the same Islamist leaders who persecute them, "or else" -- has taken root in other countries, as well. A Muslim political candidate suspected of murdering a Christian has instigated calls from mosque loudspeakers for attacks on Christians, whom he blames for his May 11 election loss. Tensions were high in Punjab Province's Okara district after provincial assembly seat candidate Mehr Abdul Sattar, sought by police in connection with a 2008 murder, on May 13 arranged for mosque calls for violence against Christian villages. "Burn their homes to the ground … Punish them such that they forget Gojra and Joseph Colony," was the cry from village mosques in the district [emphasis added]. "Gojra and Joseph Colony" are references to two separate incidents when Pakistani Christians were especially persecuted: in 2009 in Gojra, eight Christians were burned alive, 100 houses looted and 50 homes set ablaze after a blasphemy accusation; and last March in Joseph Colony, Lahore, some 3,000 Muslims attacked Christians, destroying 175 homes and burning their churches, again, because a Christian was accused of insulting Islam. Calls for violence against the Christians who did not vote for Mehr Abdul Sattar have been effective. Sattar's supporters ambushed a convoy of about 100 Christians on their way to congratulate his opponent on his victory. Though notified, police failed to respond. This is unsurprising, considering that Sattar himself is connected to the murder of Javed Masih, a Christian who had opposed him in a 2008 election, according to the Morning Star News report. 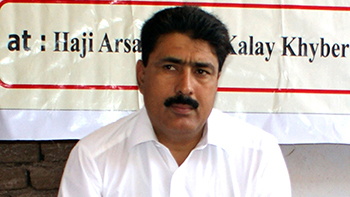 "The late Javed Masih used to tell the peasants to vote according to their conscience and not get intimidated by gangsters like Mehr [Abdul Sattar]," said Younas Iqbal, chairman of a peasant movement fighting for land rights: "His efforts bore fruit, and Mehr lost the general election in 2008. Unfortunately, Masih had to sacrifice his life for the cause, while several others were injured in an armed attack by Mehr's men." According to Iqbal, this latest "humiliating defeat further stoked anger in Mehr, and he is now bent upon punishing us," pointing out that Sattar has targeted no Muslims for opposing him by voting for others. If modern systems of governance, such as voting, elections, and democracy are being utilized as new ways to persecute Christians and other minorities in countries such as Egypt and Pakistan -- which differ in every way except for the practice of Islam -- intimidation by fundamentalists is alive and well across the Islamic world. It has been so for hundreds of years but the difference now is that it has come to the free world, people are starting to feel threatened, and some independent news media is willing to expose the reality of Islam, mainly online (we don't hear much from the big TV news networks, which in my opinion is a disgrace, covering up the very dangerous reality moving in on us). Unfortunately it came too late to do anything about the Middle East, but the U.S (or more generally the Americas) can still deter this tyrannical so-called religion. The blindfolding is coming from our administration at the moment, given we have a Muslim born and raised president, but if the people stay vigilant we can prevail against any dangers that political correctness throws at us, and preserve our free and fair society. Thank You Raymond for this interesting article. I am often amazed at the stupidity of Western governments who support any theocratic government. When extremist religion has captured a society, there can be little or no freedom for both religious and ethnic minorities. The blind supporting of Pakistan by the US is one glaring example, where the US turned a blind eye while Pakistan supported the Taliban and al-Qaeda. Obama backed Morsi along with the Muslim Brotherhood, and now he is backing the FSA and the black flag of al-Qaeda. The House of Saud is sending billions to the FSA. The sad truth is that all of this fighting is about religion and the freedom to worship, but the US and others are fueling the conflict for political and economic gain. Once again we see how Muslims (dare I say "worldwide"?) see democracy as a means to gain/retain power, not a political process in it's own right. Of course, this is not a surprise - Islam itself is inherently anti-democratic and demands a dictatorship (the Caliphate).